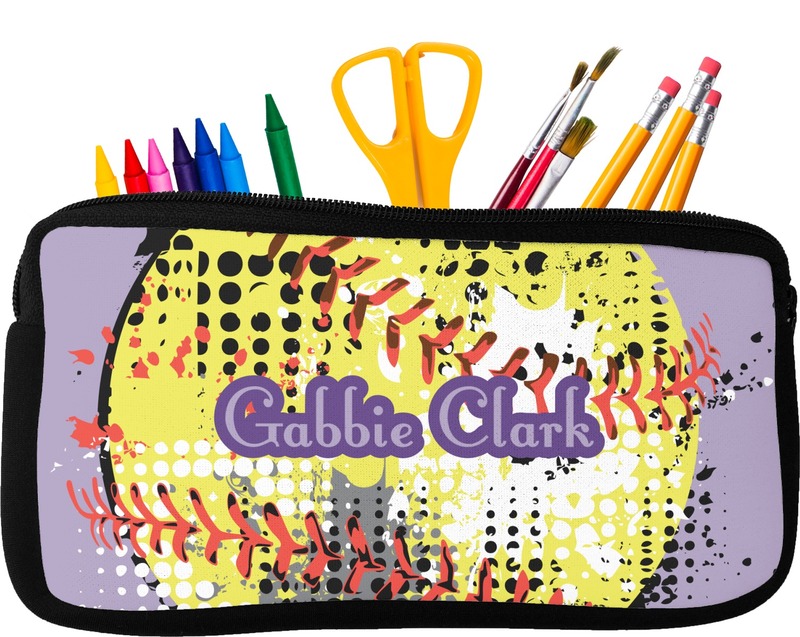 Pencil bags are most definitely necessary for any school kid! This keeps them organized and ready for their day. 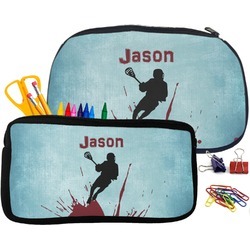 Kids (and adults) will love these bags, since you can personalize them! They'll be the coolest kids in school! 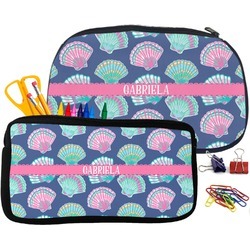 Our pencil bags are available in 2 sizes: Small and Medium. The small size is best for just pencils, crayons, and other writing utensils. The medium with fit a few more items like erasers or pencil sharpeners and scissors. They are made of neoprene (same material as wet-suits) and thus are water resistant, so pen leaks shouldn't get into your backpack as well. 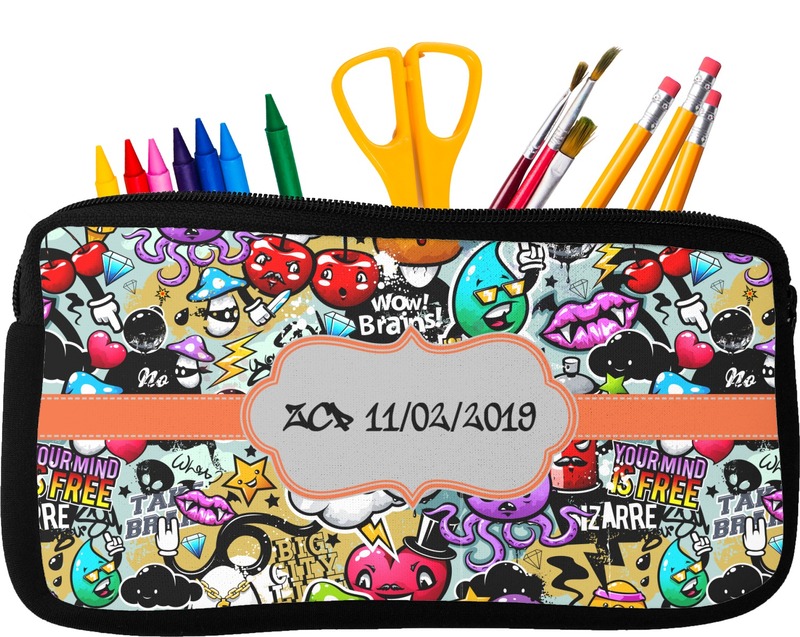 The small measures at 4.5"H x 8.5"W and the medium measures at 6.5"H x 10.5"W.
Our personalized pencil bags are available in many different designs, patterns, and colors - so you are sure to find one that you will love. They are customized on one side and are black on the other side. 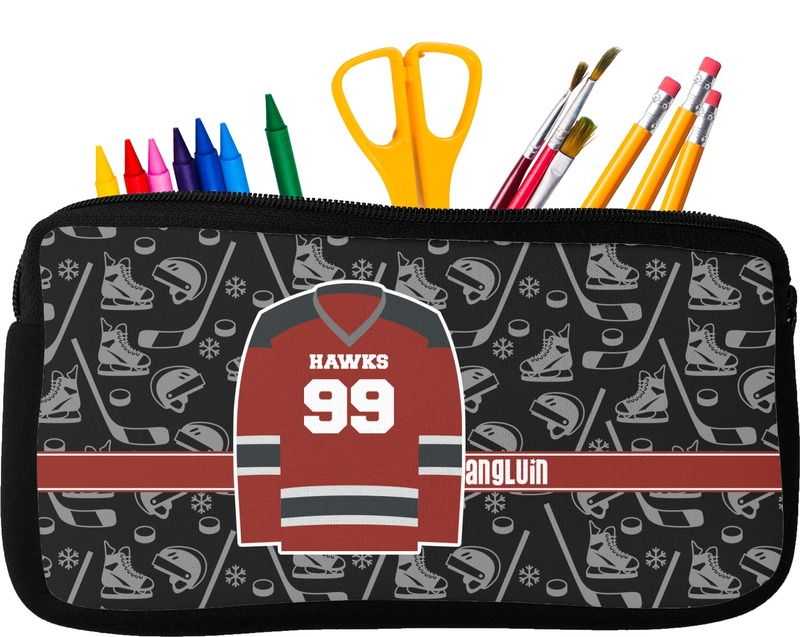 If you need any help designing your pencil bag, just give us a call. Looking for more school supplies? We've got your back! Check out our 3-ring binders in our Office section. 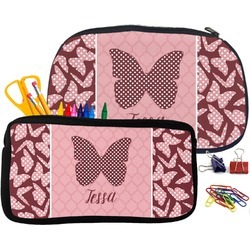 We also have kid's backpacks, spiral notebooks, and bookmarks! Everything your kid will need. Super cute and made just how she wanted it. Fast shipping and well done. Thank you! This was a gift and it looks exactly like the picture and description. Thank you!